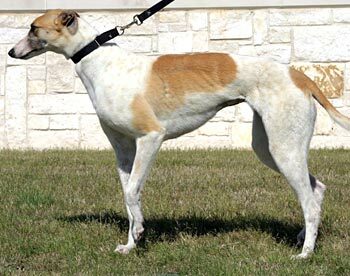 McKenzie, aka Gable Bingo, is a beautiful, 5-year-old white-and-red female born August 7, 2004. Her sire is Pat C Die Hard, making her grand sire the late famous Molotov, and her dam is Gable Esther, making her grand sire the late famous Gable Dodge. 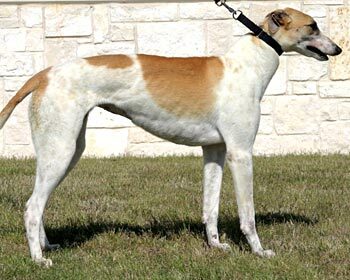 There are 38 races to her credit on Greyhound-data.com, staring April 1, 2006 at Gulf Greyhound Park, and finishing at Corpus Christi track on May 3, 2007. Her whereabouts from that time to April 29, 2008, are unknown. 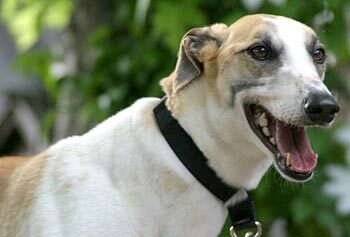 McKenzie, who along with Lucille, was turned into the Tri-Cities Shelter as an owner release on April 29, 2008. She was adopted on June 20 of that year, but due to economic circumstances of the family, it was not to be her forever home. 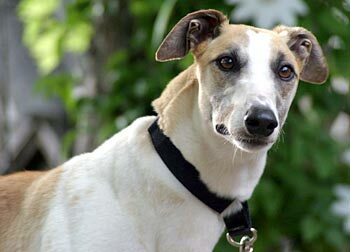 McKenzie is now back in the GALT family and wants to find her forever home.